DESCRIPTION: Himalaya moisturizing aloe vera facial wipes refresh skin and restore moisture balance. Our wipes are enriched with Aloe Vera and Fig, known for their anti-oxidant and anti-inflammatory properties, that soothe and protect your skin from damage. INGREDIENTS: Aqua, Glycerin, Polysorbate 20, Aloe Vera Leaf Extract, Phenoxyethanol & Ethylhexylglycerin, Sodium Cocamidopropyl PG-Diamonium Chloride Phosphate, Chlorhexidine Digluconate, Sodium Benzoate, Fragrance, Ficus Carica Fruit Extract, Coco Caprylate/Caprate, Menthyl Lactate. DIRECTIONS: Gently cleanse face, neck and eye area with our soft wipe, keeping eyes closed. Carefully reseal bag after use with the self-adhesive label to prevent drying out. 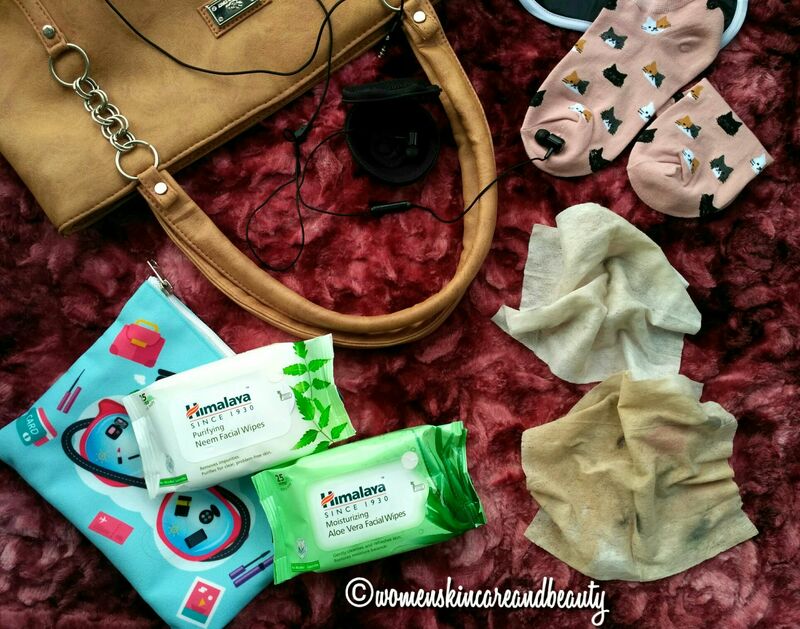 Himalaya Facial Wipes Remove Makeup Effectively! 4. 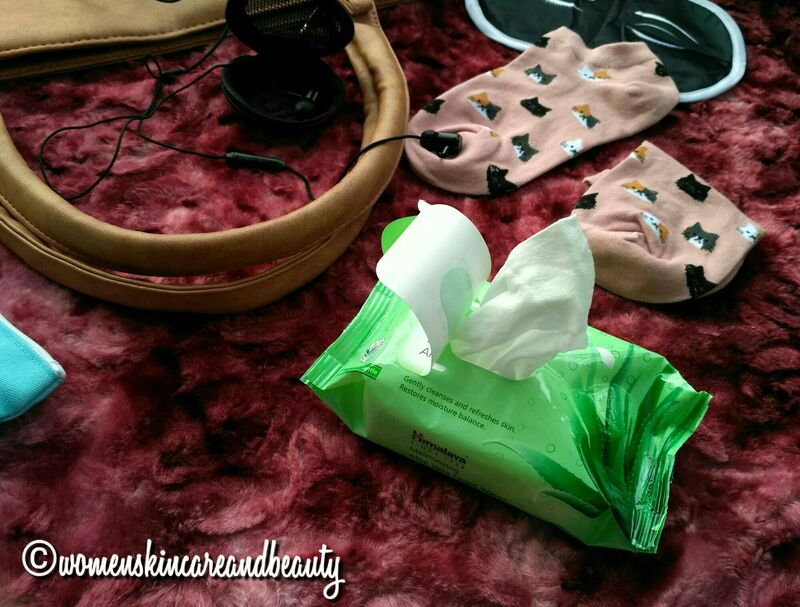 The material of the wipes is really soft and gentle against the skin! 6. Cleanses the face really well and removes all the impurities, dust and sebum from the surface of the skin! DESCRIPTION: Himalaya purifying neem facial wipes gently remove impurities and prevent pimples. Neem and Turmeric, well-known for their antibacterial properties, controls problem-causing bacteria and keep your skin clean and clear. INGREDIENTS: Aqua, Glycerin, Polysorbate 20, Phenoxyethanol & Ethylhexylglycerin, Sodium Cocamidopropyl PG-Diamonium Chloride Phosphate, Chlorhexidine Digluconate, Sodium Benzoate, Fragrance, Coco Caprylate/Caprate, Melia Azadirachta Leaf Extract, Curcuma Longa Rhizome Extract. The wipes sound really refreshing and gentle on the skin. After going through your review now i seriously want to try out these himalaya new wipes range ..
my baby is a Himalaya baby, in fact, most of her baby skin care products are from Himalaya. this a great review. one more product will be added to our kitty soon. Haha! Himalaya is a really good brand! These wipes are must have for everyone, I am also using it and very happy with its results. That’s true! They are a must have! Haven’t tried these wipes yet but will keep it in my shopping list. I love their facewashes. Products from Himalaya are generally good! 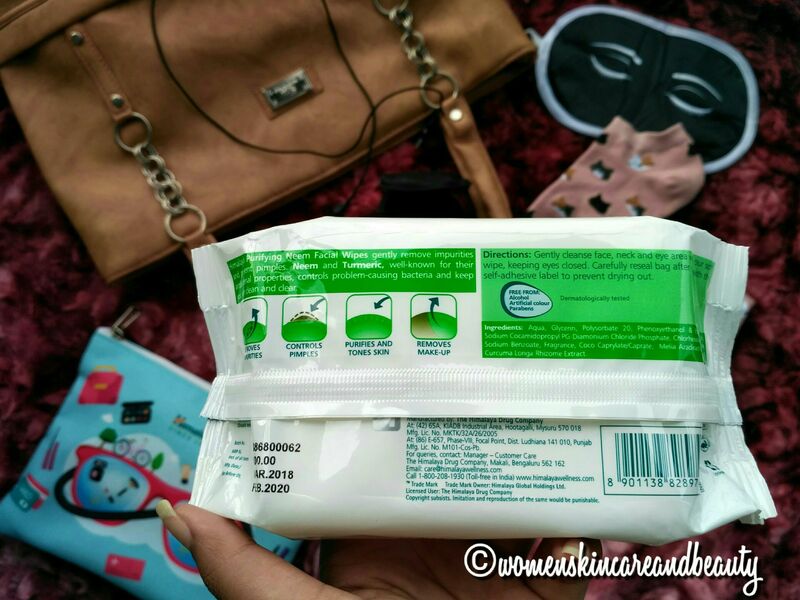 These wipes from Himalaya Wellness are my current favourite. So refreshing and soothing ! Yes I am also use these wipes to remove my makeup, though it is not a makeup removing wipes. But it does its job of cleaning up and refreshing my face beautifully. I do not mind a bit of tingling as long as its due to good ingredients. I love Himalaya products and would love to give these wipes a try too. I like that the wipes are alcohol and paraben free. 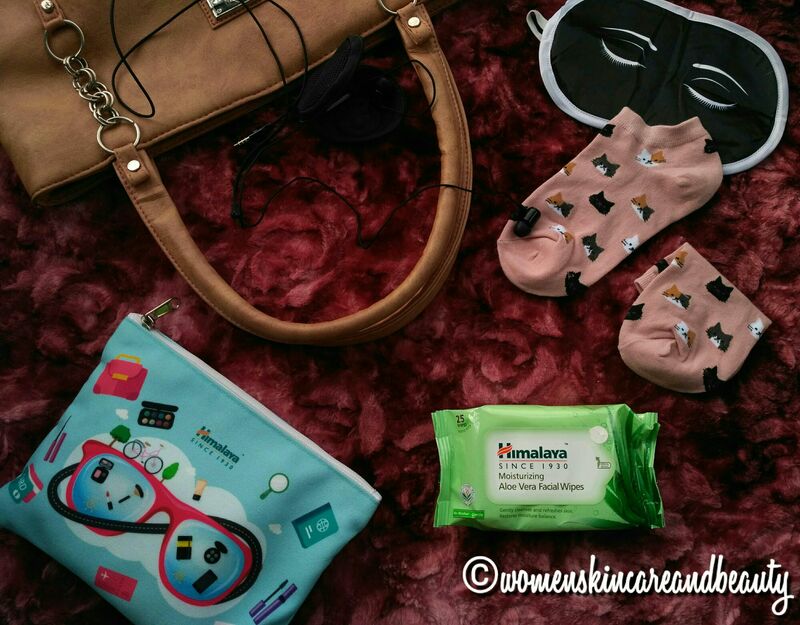 I love some gentle wipes and Himalaya is a brand that we can trust. I can’t even recall for how long i have been using products by Himalaya. It’s the best brand for my kind of skin. Neem helps alot with my acne..so gotta try the neem variant first. My skin is quite receptive to neem oil. These wipes are a must try now I have heard a lot of positive about them. Thanks a bunch for reviewing it. Himalaya products are always of high quality and never disappoint. 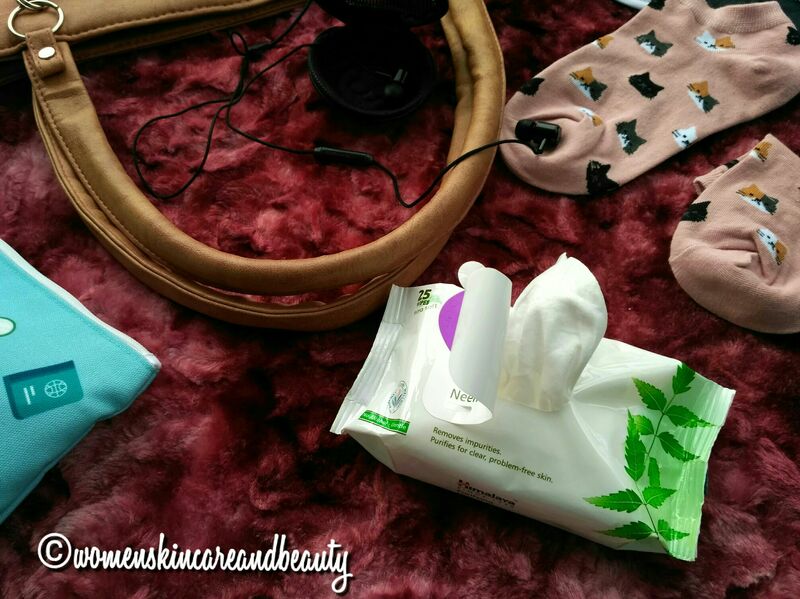 The wipes surely do great job in keeping skin fresh and clean. Nice and detailed review. 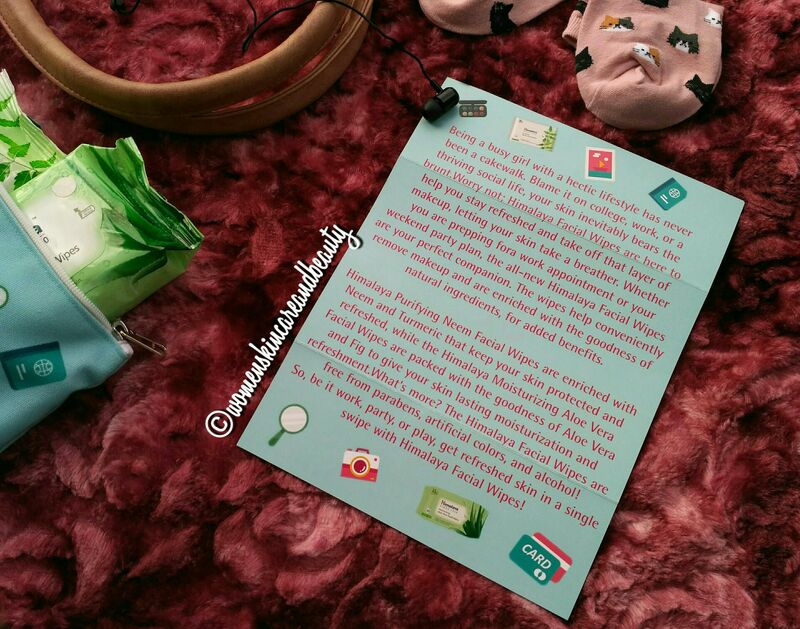 I feel, I’m in love with these wipes , you have reviewed them in a great way, detailing on every aspect. Loved the fact that they have neem and turmeric extracts, great during summers. I love using Himalaya moisturizing facial wipes specially the Aloe Vera one. These are my favorite wipes now. It takes all my makeup off in a go. Everything is so good about them! This is a such a helpful review. I love the product range from Himalayas. I love these wipes and really swear by them! ? Himalaya products have been a part of my teenage life too! I have used these wipes and they are great! I loved the hamper so so much. I guess I was first one to get the package. Perhaps. But I haven’t reviewed it yet. I tried both the wipes and I found it really cool. I think i need these wipes badly. You have reviewed the wipes in so much detail. And the pictures are great too.